Navy Medal of Honor, Type X (1964-present) with Citation Document, to Gunnery Sergeant Jimmie Earl Howard, United States Marine Corps. United States; Bronze, unmarked, 53 mm x 61 mm inclusive of its anchor suspension, on an original full-length neck ribbon with thirteen star horizontal octagonal cravat pad, triple snap closure, spotting evident on the reverse, extremely fine. 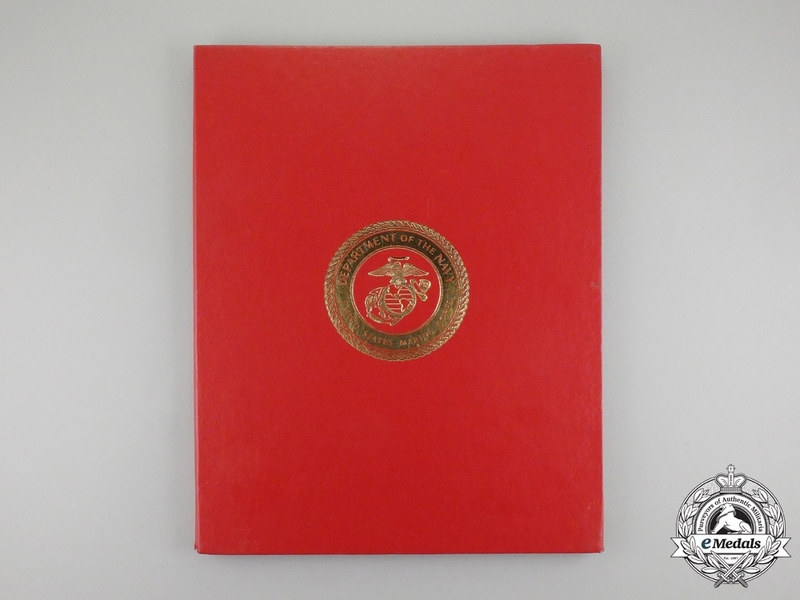 Accompanied by his Citation in a United States Marine Corps Folder (hardcovered, USMC insignia in gold-coloured embossed ink on the cover, inside with a photo of the Navy Medal of Honor inserted into the left panel, the right panel with a document entitled "Executive Correspondence" and containing his citation, see the text in the footnote below). Footnote: Jimmie Earl Howard was born on July 27, 1929 in Burlington, Iowa. He graduated from high school in Burlington in 1949 and attended the University of Iowa for one year prior to enlisting in the United States Marine Corps on July 12, 1950. He received recruit training with the 1st Recruit Training Battalion, Marine Corps Recruit Depot, in San Diego, California. He was promoted to Private First Class upon graduation from recruit training in January 1951, then remained at the Recruit Depot as a drill instructor until December 1951. After completing advanced infantry training in February 1952, he was ordered to Korea where he was assigned duty as a forward observer with the 4.2” Mortar Company, 1st Marines, 1st Marine Division. He was a promoted to Corporal in March 1952. 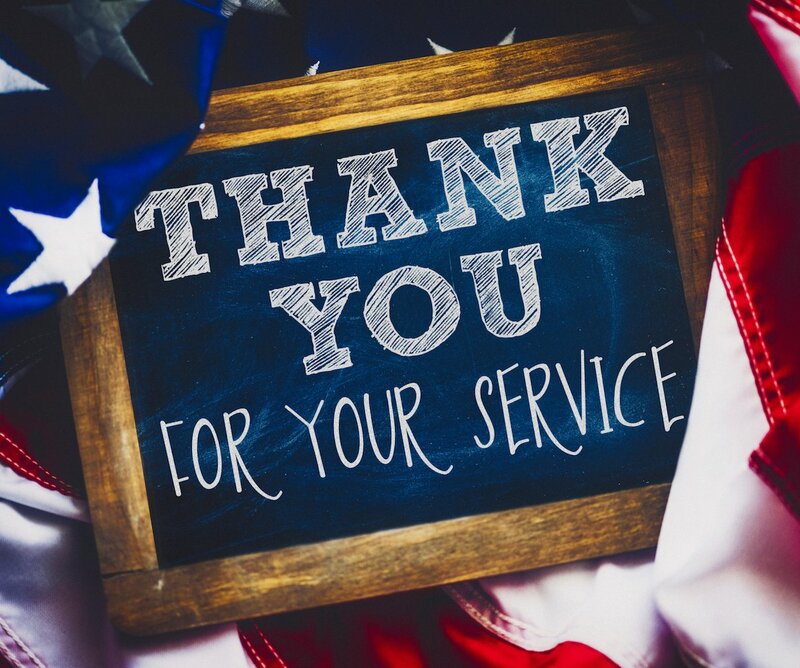 For his service in Korea, he was awarded the Silver Star, the Purple Heart with Gold Star in lieu of a second Purple Heart, and the Navy Unit Commendation. He was a Corporal with the Mortar Company, 1st Marines, 1st Marine Division (Reinforced), when he was awarded the Silver Star for actions that took place from August 12 to 15, 1952 during the Korean War, his citation stating: "The President of the United States of America takes pleasure in presenting the Silver Star to Corporal Jimmie Earl Howard (MCSN: 1130610), United States Marine Corps, for conspicuous gallantry and intrepidity while attached to the 4.2" Mortar Company, First Marines, FIRST Marine Division (Reinforced), and serving as a Forward Observer of a rifle company in action against enemy aggressor forces in Korea from 12 to 15 August 1952. During the defense of an important hill position, Corporal Howard called in and directed effective fire for friendly mortar and artillery positions, materially strengthening the defense of the position. Although occupied with the duties of forward observer, he participated in deadly hand to hand combat with the enemy to maintain his forward observation post and, although subsequently relieved for rest, sided in evacuating the wounded and in carrying vitally needed supplies to his comrades. Later, although knocked unconscious by the concussion from an enemy mortar shell, he recovered sufficiently to continue to perform his duties and, after being felled again by another mortar shell was evacuate don account of the severity of his condition. 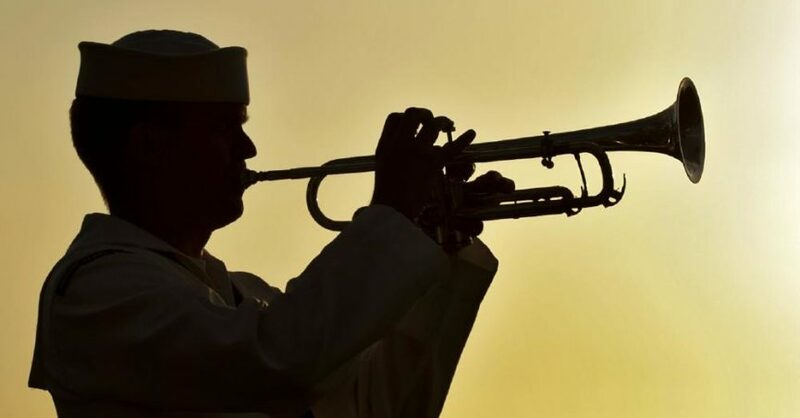 By his outstanding courage, initiative and unyielding devotion to duty, Corporal Howard served to inspire all who observed him and upheld the highest traditions of the United States Naval Service." Upon his return to the United States in April 1953, Corporal Howard served as Tactics Instructor, Headquarters and Service Company, 2nd Infantry Training Regiment, Marine Corps Base, at Camp Pendleton, California. While stationed at Camp Pendleton, he was promoted to Sergeant in June 1953. In March 1954, Sgt Howard joined the Marine Detachment on board the USS Oriskany (CVA-34), as a squad leader. The following January, he returned to Camp Pendleton and served as a squad leader, 1st Amphibious Reconnaissance Company. The 1st Amphibious Reconnaissance Company was redesignated 1st Force Reconnaissance Company, and Sgt Howard remained with this unit until September 1957. He was promoted to Staff Sergeant (SSgt) in May 1956. From September 1957 until April 1960, he served as Special Services Chief and a military policeman with Headquarters Battalion, 1st Marine Division, Camp Pendleton. after being transferred to San Francisco, California, Staff Sergeant Howard was assigned to the 3rd Marine Division. He served as Special Services Noncommissioned Officer, Headquarters and Service Company, 2nd Battalion, 9th Marines and later, as a platoon guide and platoon sergeant with Company H, 2nd Battalion, 9th Marines. Reassigned to the Recruit Depot, San Diego, in August 1961, he joined Guard Company, Headquarters and Service Battalion and served as Guard Noncommissioned Officer, Company First Sergeant and administrative man, respectively. He later became Depot Special Service Assistant, Headquarters Company, Headquarters and Service Battalion there, and served in the latter capacity until October 1964. The following month, he returned to Camp Pendleton, and was assigned to the 1st Marine Division. He saw duty as Regimental Special Services Noncommissioned Officer with Headquarters Battery, 11th Marine Regiment and in January 1965, becoming an instructor, Counterguerrilla Warfare Course, Division Schools Center, Subunit #1, with Headquarters Battalion until March 1966. From April until June 1966, Staff Sergeant Howard served as a platoon leader, with Company C, 1st Reconnaissance Battalion, 1st Marine Division. During the Vietnam War, on the evening of June 13, 1966, Staff Sergeant Howard along with his platoon of fifteen Marines and two Navy corpsmen were dropped behind enemy lines atop Hill 488. 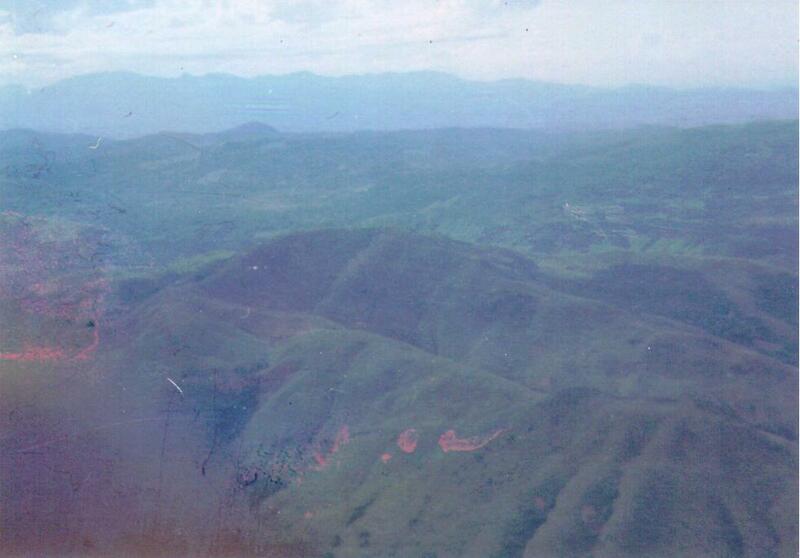 The mission of this recon unit was to observe enemy troop movements in the valley and call in air and artillery strikes. Within days, the enemy descended on them in force. 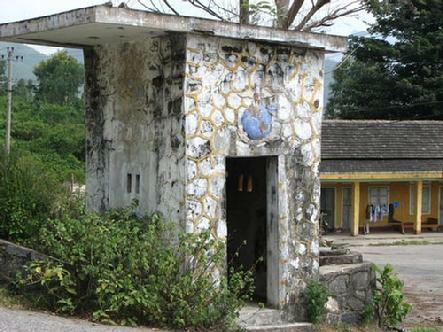 On the night of June 15, 1966, a full battalion of Viet Cong (over 300 men) were engaging the squad of eighteen. After receiving severe wounds from an enemy grenade, Howard distributed ammunition to his men and directed air strikes on the enemy. By dawn, his beleaguered platoon still held their position. During the twelve hours of attack, 200 enemy troops were killed with the loss of six American lives. He was a Gunnery Sergeant with Company "C", 1st Force Reconnaissance Battalion, 1st Marine Division (Reinforced), United States Marine Corps when he was awarded the Medal of Honor for his actions at Hill 488, his citation reading: "The President of the United States of America, in the name of Congress, takes pleasure in presenting the Medal of Honor to GUNNERY SERGEANT JIMMIE E. HOWARD UNITED STATES MARINE CORPS" for service as set forth in the following CITATION: For conspicuous gallantry and intrepidity at the risk of his life above and beyond the call of duty as a Platoon Leader, Company "C", First Reconnaissance Battalion, First Marine Division (Reinforced), Fleet Marine Force, Pacific, in action against communist insurgent forces in Quang Tin Province, Republic of Vietnam, on 16 June 1966. During the night Gunnery Sergeant (then Staff Sergeant) Howard's platoon of eighteen men was assaulted by a numerically superior force consisting of a well-trained North Vietnamese Battalion employing heavy small-arms fire, automatic weapons and accurate mortar fire. Without hesitation he immediately organized his platoon to personally supervise the precarious defense of Hill 488. Utterly oblivious to the unrelenting fury of hostile enemy weapons fire an hand grenades he repeatedly exposed himself to enemy fire while directing the operation of his small force. As the enemy attack progressed and the enemy fire increased in volume and accuracy and despite his mounting casualties, Gunnery Sergeant Howard continued to set an example of calmness and courage. Moving from position to position, he inspired his men with dynamic leadership and courageous fighting spirit until he was struck and painfully wounded by fragments from an enemy hand grenade. Unable to move his legs and realizing that his position was becoming untenable, he distributed his ammunition to the remaining members of platoon and skillfully directed friendly aircraft and artillery strikes with uncanny accuracy upon the enemy. Dawn found the beleaguered force diminished by five killed and all but one wounded. 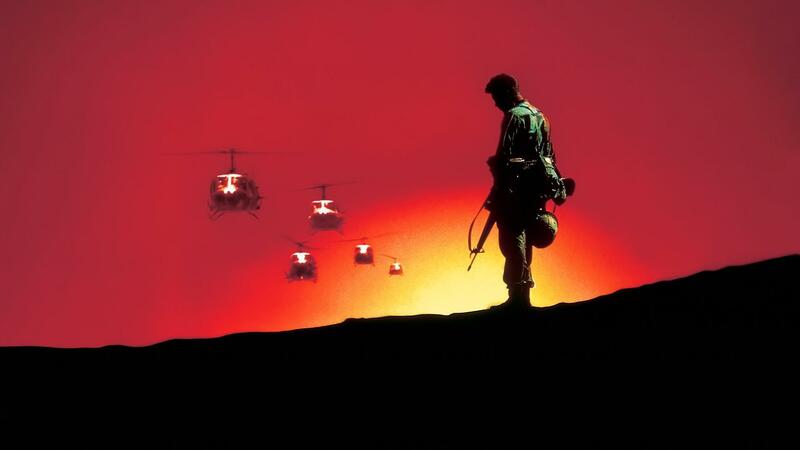 When rescue helicopters proceeded to Gunnery Sergeant Howard's position, he directed them away from his badly mauled force and called additional air strikes and directed devastating small-arms fire on the enemy thus making the landing zone secure as possible. His valiant leadership and courageous fighting spirit served to inspire the men of his platoon to heroic endeavor in the face of overwhelming odds, and reflected the highest credit upon Gunnery Sergeant Howard, the Marine Corps and the United States Naval Service." In his book Hill 488, Ray Hildreth, who served alongside Howard in Vietnam, remembered him fondly: "Howard was a John Wayne type of guy. A hard slab of a man with a poker face … he walked into an area and you could almost hear the theme song from The Sands Of Iwo Jima." Jimmie Howard's patrol in Vietnam in the action that earned him the Medal of Honor, may have been the most decorated unit in history, earning eighteen Purple Hearts, four Navy Crosses, and thirteen Silver Stars in addition to Howard's Medal of Honor. 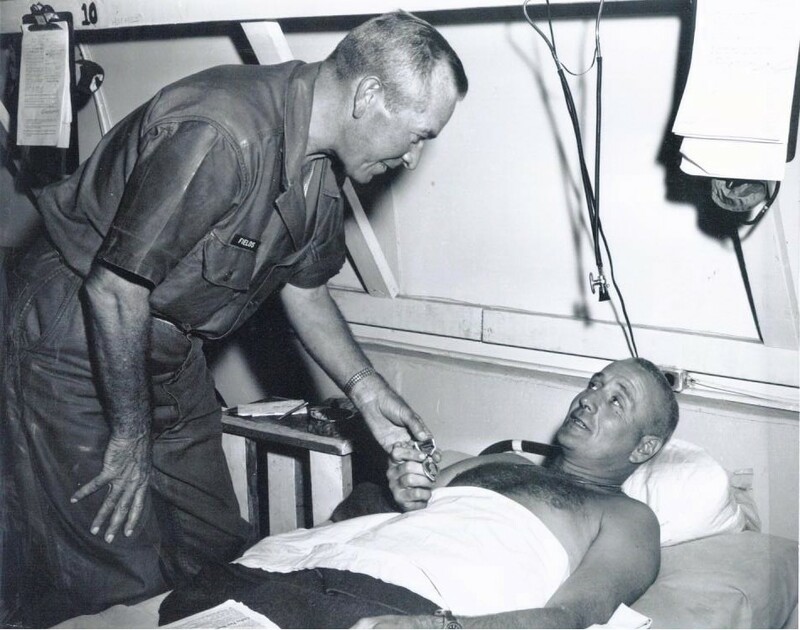 In addition to receiving the Medal of Honor for his actions on Hill 488, Howard received a gold star in lieu of a third Purple Heart for wounds received on June 16, 1966. A list of his medals and decorations includes: the Medal of Honor, the Silver Star Medal, the Purple Heart with two Gold Stars in lieu of second and third awards, the Navy Unit Commendation, the Good Conduct Medal with three bronze stars, the National Defense Service Medal with one bronze star, the Korean Service Medal with four bronze stars, the Vietnam Service Medal with one bronze star, the United Nations Service Medal, the Korean Presidential Unit Citation, and the Republic of Vietnam Campaign Medal. 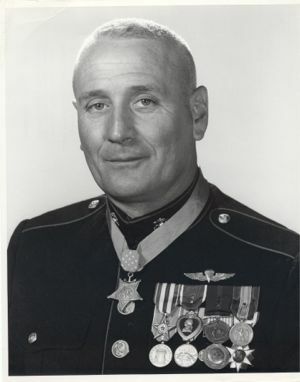 As a result of his heroic actions, Howard became the sixth United States Marine to be awarded the Nation’s highest honor for heroism in combat in Vietnam, the Medal of Honor presented by President Lyndon B. Johnson in White House ceremonies on August 21, 1967, with Howard's wife and six children in attendance, along with the survivors of the heroic stand on Hill 488. Upon his return to the United States, he was assigned duty as Battalion Training Noncommissioned Officer, Service Company, Headquarters and Service Battalion, Marine Corps Recruit Depot, in San Diego, California. Howard retired from the Marine Corps on March 31, 1977 in the rank of First Sergeant. Following his retirement, Howard lived in San Diego, California and worked for the local Veterans Affairs office. Howard became involved in coaching/volunteering for Point Loma High School. He was a coach for the Point Loma High School football team that went undefeated in 1987 and won the San Diego Section CIF championship. He was also a coach for Point Loma High School football team that won the CIF championship again in 1991. When asked why he liked coaching, Coach Howard stated the men he lost in combat were relatively the same age as the high school football players and it reminded him of them. He died on November 12, 1993 at his home in San Diego, California, at the age of 64. He was buried in the Fort Rosecrans National Cemetery in San Diego. 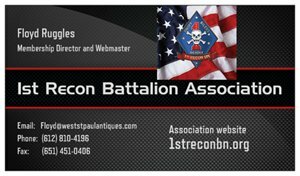 1st Recon Battalion Association Webpage. 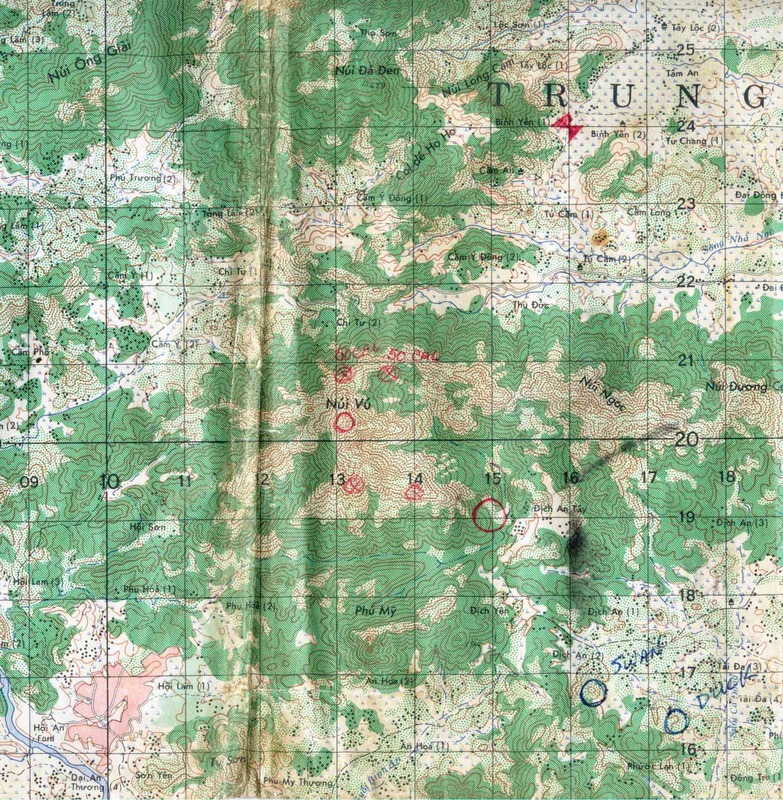 For conspicuous gallantry and intrepidity at the risk of his life above and beyond the call of duty as a Platoon Leader, Company "C", First Reconnaissance Battalion, First Marine Division (Reinforced), Fleet Marine Force, Pacific, in action against communist insurgent forces in Quang Tin Province, Republic of Vietnam, on 16 June 1966. During the night Gunnery Sergeant(then Staff Sergeant) Howard's platoon of eighteen men was assaulted by a numerically superior force consisting of a well-trained North Vietnamese Battalion employing heavy small arms fire, automatic weapons and accurate mortar fire. Without hesitation he immediately organized his platoon to personally supervise the precarious defense of Hill 488. Utterly oblivious to the unrelenting fury of hostile enemy weapons fire and hand grenades he repeateldly exposed himself to enemy fire while directing the operation of his small force. As the enemy attack progressed and the enemy fire increased in volume and accuracy and despite his mounting casualties, Gunnery Sergeant Howard continued to set an example of calmness and courage. Moving from position to position, he inspired his men with dynamic leadership and courageous fighting spirit until he was struck and painfully wounded by fragments from an enemy hand grenade. Unable to move his legs and realizing the the position was becoming untenable, he distributed his ammunition to the remaining members of his platoon and skillfully directed friendly aircraft and artillery strikes with uncanny accuracy upon the enemy. Dawn found the beleaguered force diminished by five killed and all but one wounded. 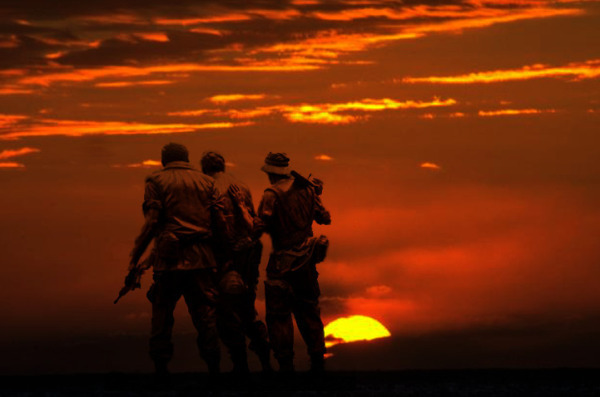 When rescue helicopters proceeded to Gunnery Sergeant's position, he directed them away from his badly mauled force and called additional air strikes and directed devastating small arms fire on the enemy thus making the landing zone secure as possible. His valiant leadership and courageous fighting spirit served to inspire the men of his platoon to heroic endeavor in the face of overwhelming odds, and reflected the highest credit upon Gunnery Sergeant Howard, the Marine Corps and the United States Naval Service. Footnote: From a article in the Milwaukee Journal dated 8/21/67. Jimmie Howard was a native of Burlington, Iowa but at the time of his death he was residing in San Diego, California. 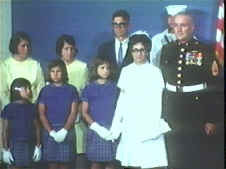 His wife, his son and 5 daughters were in attendence when Gunnery Sergeant Howard was presented the Medal of Honor. 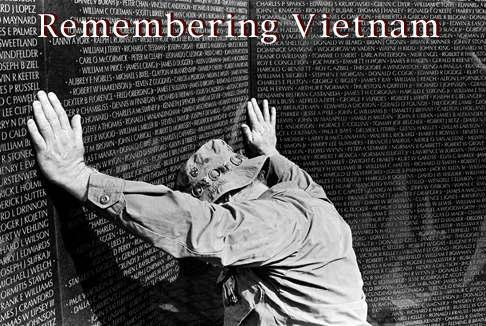 It is also noteworthy to mention that of the 18 men (including Gunnery Sergeant Howard)who engaged the Viet Cong Battalion of more than 300 men, 12 survived. Four platoon members were awarded the Navy Cross and the other 13 recieved the Silver Star for heroic action. The Marine unit killed 200 of the Viet Cong during the 12 hour attack. Gunnery Sergeant Jimmie Howard had also been awarded the Silver Star in previous combat action during the Korean war. Gunnery Sergeant Jimmie E. Howard, a Marine staff noncommissioned officer who led an eighteen-man reconnaissance patrol in a fierce battle against a battalion of Viet Cong in June 1966, was the sixth Marine to be awarded the Nation’s highest honor for heroism in combat in Vietnam. 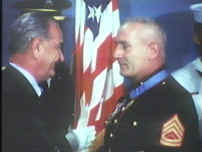 The Medal of Honor was presented by President Lyndon B. Johnson in White House ceremonies on 21 August 1967. Jimmie Earl Howard was born 27 July 1929, in Burlington, Iowa, and graduated from high school there in 1949. He attended the University of Iowa for one year prior to enlisting in the Marine Corps on 12 July 1950. He received recruit training with the 1st Recruit Training Battalion, Marine Corps Recruit Corps Recruit Depot, San Diego, California. He was promoted to private first class upon graduation from recruit training in January 1951, then remained at the Recruit Depot as a drill instructor until December 1951. After completing advanced infantry training in February 1952, he was ordered to Korea where he was assigned duty as a forward observer with the 4.2” Mortar Company, 1st Marines, 1st Marine Division. For his service in Korea, he was awarded the Silver Star Medal, the Purple Heart with Gold Star in lieu of a second Purple Heart, and the Navy Unit Commendation. He was a promoted to corporal in March 1952. Upon his return to the United States in April 1953, Cpl Howard served as Tactics Instructor, Headquarters and Service Company, 2d Infantry Training Regiment, Marine Corps Base, Camp Pendleton, California. While stationed at Camp Pendleton, he was promoted to sergeant in June 1953. In March 1954, Sgt Howard joined the Marine Detachment on board the USS Oriskany (CVA-34), as a squad leader. The following January, he returned to Camp Pendleton and served as a squad leader, 1st Amphibious Reconnaissance Company. The 1st Amphibious Reconnaissance Company was redesignated 1st Force Reconnaissance Company, and Sgt Howard remained with this unit until September 1957. He was promoted to staff sergeant in May 1956. From September 1957 until April 1960, he served as Special Services Chief and a military policeman with Headquarters Battalion, 1st Marine Division, Camp Pendleton. Transferred to San Francisco, California, SSgt Howard was assigned to the 3d Marine Division. He served as Special Services Noncommissioned Officer, Headquarters and Service Company, 2d Battalion (7th Marines), 9th Marines and later, as a platoon guide and platoon sergeant with Company H, 2d Battalion, 9th Marines. Reassigned to the Recruit Depot, San Diego, in August 1961, he joined Guard Company, Headquarters and Service Battalion and served as Guard Noncommissioned Officer, Company First Sergeant and administrative man, respectively. He later became Depot Special Service Assistant, Headquarters Company, Headquarters and Service Battalion there, and served in the latter capacity until October 1964. The following month, he returned to Camp Pendleton, and was assigned to the 1st Marine Division. He saw duty as Regimental Special Services Noncommissioned Officer with Headquarters Battery, 11th Marines and in January 1965, became an instructor, Counterquerrilla Warfare Course, Division Schools Center, Subunit #1, with Headquarters Battalion until March 1966. From April until June 1966, SSgt Howard served as a platoon leader, with Company C, 1st Reconnaissance Battalion, 1st Marine Division. For wounds received in action against insurgent Communist forces in Vietnam on 16 June 1966, he received a gold star in lieu of a third Purple Heart. Upon his return to the United States, he was assigned duty as Battalion Training Noncommissioned Officer, Service Company, Headquarters and Service Battalion, Marine Corps Recruit Depot, San Diego, California. He was promoted to gunnery sergeant in August 1968, and retired from the Marine Corps 31 March 1977. He died on 12 November 1993. A list of his medals and decorations includes: the Medal of Honor, the Silver Star Medal, the Purple Heart with two Gold Stars in lieu of second and third awards, the Navy Unit Commendation, the Good Conduct Medal with three bronze stars, the National Defense Service Medal with one bronze star, the Korean Service Medal with four bronze stars, the Vietnam Service Medal with one bronze star, the United Nations Service Medal, the Korean Presidential Unit Citation, and the Republic of Vietnam Campaign Medal. SAN DIEGO – History was made June 17 pier-side at Naval Base San Diego during a touching reunion 50 years in the making. 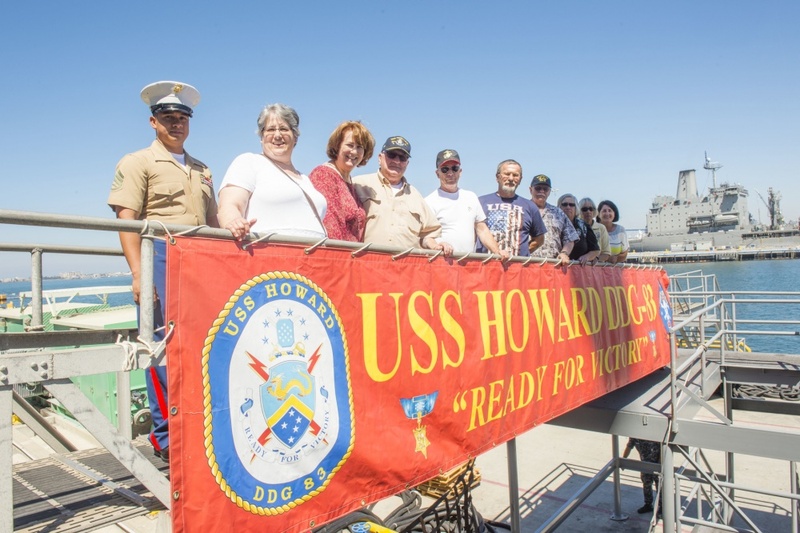 Sailors aboard the guided-missile destroyer USS Howard (DDG 83) were treated to a firsthand account history lesson from the remaining survivors of the Battle of Hill 488, a conflict from the Vietnam War. E. Howard, the ship’s namesake. the Vietnam mission where he earned the Medal of Honor. During the visit, the members of the platoon gathered in he ship’s wardroom alongside the Howard sisters –Yvonne, Yvette, Barbara, Linette, and Darlene Howard- and the crew to shared their fondest memories of the battle hero and the tremendous events of the historic battle. 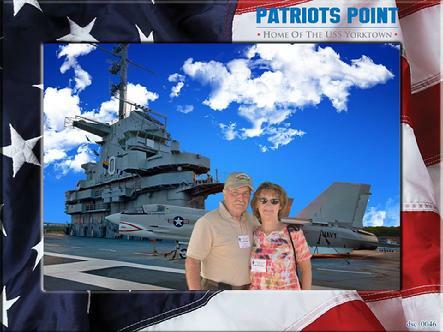 The guests were also treated to a tour of the ship, which included stops on the ship’s bridge, boat deck, forecastle, helicopter hanger, and flight deck. The last stop on the tour was the Medal of Honor Passageway, a hallway within the ship that housed the history of USS Howard including memorabilia from Howard’s military career. As the group traveled down the passageway the mood intensified as each guest studied the mementoes lining the bulkhead. From the medals and photos, to the brightly colored red deck, selected to pay homage to the Marine Corps; each guest seemed to soak up the almost tangible spirit of honor that filled the space. The visit concluded at the ship quarterdeck where McInnis traded hugs, handshakes and farewells with the Howard family and the Hill 488 veterans. As the groups parted ways, McInnis remained confident that the service carried out on Hill 488 and the memories created during the visit would endure with the crew. “We hope that we can honor the memories of those that served there [at Hill 488] in all of our future endeavors,” she said. March 11th, 2018 3:15pm I'm on the internet looking it up. I'm In Shock It's on the internet. Message: WITH CITATION AND PAPERWORK. WAS HOPING 1st Recon Battalion Association WOULD BUY IT AND MAKE A HOME FOR IT WHERE IT BELONGS. I AM A MEMBER. PLEASE CALL ME. I'm working the issue and I'll keep you posted on what develops. Thanks for giving us a "heads up" on the Howard MOH and emedals' contact information. If it is legit, we'll buy it. I'll keep you posted on how this sorts out. Thanks for your response. It is very kind of you to offer your funds. I am waiting for updates from Charlie and I will keep you in the loop on what is going on. Sorry that your health makes it hard to come to the reunions. I hope that I can get as much as possible in photos and other memorabilia on our website so that everyone gets to share in the history we see at the reunions. You absolutely cannot sell a Medal of Honor, the ribbon for the medal. It is illegal to sell, wear, or manufacture any decorations or medals authorized by Congress for the armed forces of the United States. In General. - Whoever knowingly wears, manufactures, or sells any decoration or medal authorized by Congress for the armed forces of the United States, or any of the service medals or badges awarded to the members of such forces, or the ribbon, button, or rosette of any such badge, decoration or medal, or any colorable imitation thereof, except when authorized under regulations made pursuant to law, shall be fined under this title (18 United State Code) or imprisoned not more than six months or both. 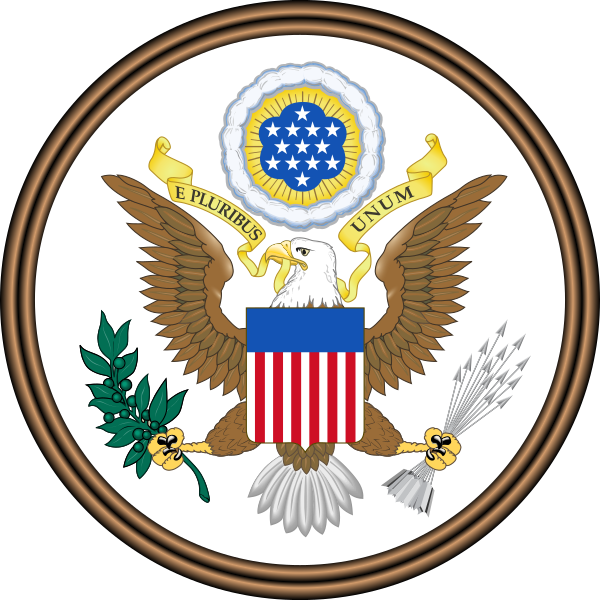 Title 18 United States Code. Sec. 1001, entitled "Statements or entries generally," June 25, 1948, ch. 45, 62 Stat. 749. "If you’re living in the United States, the simple answer is, you can’t. The sale of Medals of Honor is regulated by federal law, specifically Title 18, United States Code, Section 704. The law prohibits the buying, selling, trading, importing, exporting, or bartering for anything of value for a Medal of Honor. The law makes no mention of inheriting a MOH, or gifting one, so the only way you can legally obtain one is if you are given or inherit one"
THEY HAVE TOLD ME ITS HIS BECAUSE OF THE PAPERWORK THEY HAVE ON IT. Not in the USA - but you sometimes see them offered on the overseas eBays and other venues. Overseas dealers and auction houses would be very interested and there's usually no laws preventing it's sell outside the USA. If you're within the USA, then there are many legal points that your friend needs to review (personally, I'd strongly suggest that you don't get involved for many reasons). 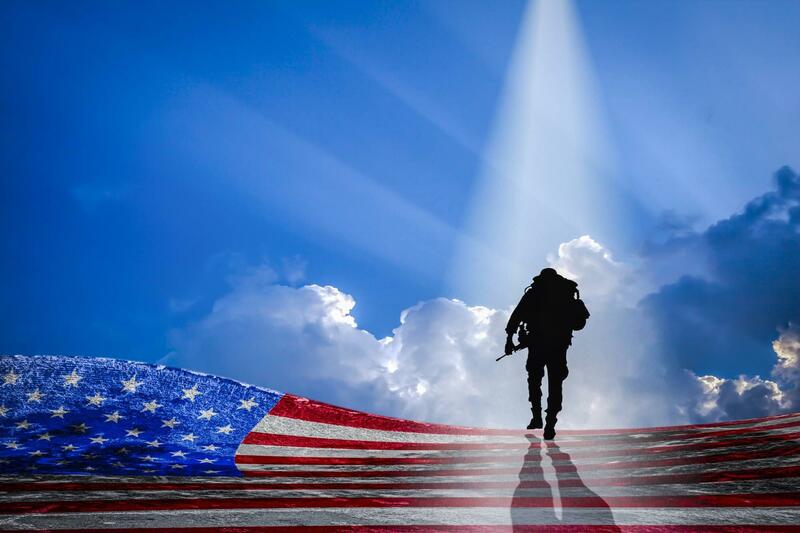 Review the "Stolen Valor Act" over the net and within this Discussion Board for further insight. Obviously, it must be determined that this MoH was the original and all substantiating paperwork is needed. However, the best choice would be to contact the unit museum and see if they would be interested. There's an off-chance that your friend has mis-identified it so you may want to double check. This is a real hot-potato right now. You can donate it to a museum or to a historical society. Just an update. 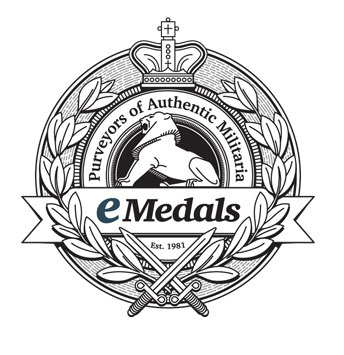 I talked to Emedals.com regarding the MOH and they have agreed to mark the medal as sold until our association can sort out the details of purchasing the medal. I told them I would get back to them in 24 hrs. Something I learned in Recon is to secure your position and then move forward. Thanks to everyone for their hard work on this and hopefully we can secure it before it is lost to some foreign buyer. I've created a page on our website with all the informaion we have shared and I am contstantly updating. You can find it by clicking on Jimmie Howard's photo in the bulletin board section on the home page. All the updates are found at the bottom of his page. Be sure to keep refreshing your brower to get the latest updates. You must have been one hell of a hard charging Pvt. hehehehe Great work. Thanks. The decision will be up to Charlie. Emedals expects an update today from us. Save Howard's Medal of Honor. I've been on the phone or emailing various Marine Corps personnel concerning eMedals.com and the Jimmie Howard Medal of Honor. but a replica. However, any US citizen or organization, such as 1st Recon Battalion Association, selling or purchasing a MOH is subject to severe penalty. Therefore, I will not pursue acquiring the medal. Below is my conversation with the Marine Corps' official medals folks. As you can see there are real doubts that the medal is actually Howard's and there are possible issues if his medal was actually sold to someone in Canada. Also attached here is the actual law regarding the purchase and sale of valor medals. I will let you know if we learn more! Our display medal should have a Serial # on it, but will not specifically have the Name of the recipient, even if the display is for the purpose of honoring the recipient. With that Serial # I be able to tell what organization the medal was given to. I can tell you that we have a display at the USS Howard marked with a serial number in 2001. My guess is that someone got a hold that medal and perhaps erased the engraving. Below are various section in Title 10 USC pertaining to the MOH. the part of the person to whom it was awarded. (Aug. 10, 1956, ch. 1041, 70A Stat. 391; Pub. L. 107–107, div. A, title V, Sec. 553(b)(2), Dec. Corps Medals, and associated bars, emblems, and insignia. Violation of these statues should be reported to the FBI. Looks like they should investigate "https://www.emedals.com/" to find out where that MOH came from and why they sold it. I took the liberty to include Mr. Mugno, TIOH director, because his agency is the one that approves commercial vendors for the production and sales of US military medals. Thanks for the update and all the legal information. I will post it all on the site. I tried to contact Emedals but their voicemail was full so I couldn't leave a message. I will try again tomorrow. Hopefully we can get to the bottom of this and put our members minds at ease. All new updates are found at the bottom of this page. Be sure to keep refreshing your brower to get the latest updates. Let's talk before you post all the MOH information I sent you. All posting from today are on our website as of 4:35pm today. You can check the webpage posting at: http://1streconbn.org/jimmie-e-howard.html Check on updates and email me back. I Email Emedals.com today at 8pm. This is a copy of my email sent to Emedals.com. Just an update. 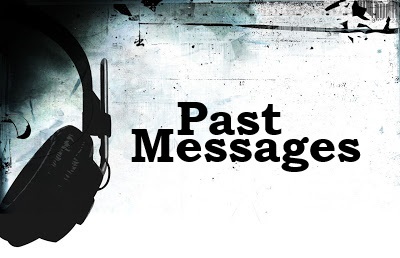 I tried to contact you today but your voicemail was full so I couldn't leave a message. I will try again tomorrow if I have the time. I talked to Charlie Kershaw. The President of 1st Recon Battalion Association. We talked regarding Jimmie Howard's Medal of Honor and he and all our members Thank You for agreeing to mark the medal as sold until our association can sort out the details of the medal. Thanks to everyone for your hard work at E-medals.com on this and hopefully we can secure it before it is lost. In Charlie Kershaw's email to me today he's asking for the provenience of the medal. He said he's been on the phone or emailing various Marine Corps personnel concerning Jimmie Howard's Medal of Honor. The planned sale of this medal stirred up a lot of interest. Is this medal a replica? Can you email me back soon, thank you. As you can see there are real doubts that the medal is actually Howard's and there are possible issues if his medal was actually sold to someone in Canada. Is this a display Medal of Honor? Can you email me back on this, thank you. All display medal should have a Serial # on it, but will not specifically have the Name of the recipient, even if the display is for the purpose of honoring the recipient. With that Serial # We are able to tell what organization the medal was given to. I can tell you that one of Howard's Medal of Honor is on display at the USS Howard marked with a serial number in 2001. Hopefully we can get to the bottom of this and put our members minds at ease. I will let you know if I learn more! Can you Email me back with the provenance of the medal. Is this the actual Medal of Honor awarded to Jimmie Howard by President Lyndon B. Johnson in White House ceremonies on August 21, 1967. I'm working on the issue and I'll keep you posted on what develops. I received this is in response to an email I sent to Emedals trying to verify some of the details. The original email sent along with this response will be posted on the website. It appears that if what they are saying is correct then we need to secure this before it is lost. We lost our sign to the Vietnamese government. I don't want that to happen with Howards' medal. Please get back to me. Thanks. 1. No MOH awards were issued with serial numbers. They were either issued with a plan reverse or engraved to the recipient. 2. Yes, this is an original medal of honour. 3. No, this is not a display MOH, it was acquired with the recipients original citation award document. 4. The medal was listed as a direct sale option and therefore it was available to purchase and could be sold to anyone, regardless of country. That being said, there are legal issues you must be aware of in purchasing a MOH and having it posted to America. I haven't heard back from Charlie and I know that Emedals is not going hold this much longer. I have had several members volunteer to acquire the medal and hold it in Canada but I don't know if it is legal or not. I am very afraid that we are going to lose the opportunity to acquire it if we take much longer. We could get the San Diego news media involved as that is where the USS Jimmie Howard is stationed. Emedals is a very large and reputable company and are standing behind it as an original. The last MOH sold was the 2nd medal (usually one that is worn) and it sold through Ebay in Europe for $2200. I am in the business of buying and selling artifacts and I know that Jimmie's Medal is being sold at a very fair price. I will find it very hard to live with myself if we lost this to some foreign buyer because we did nothing. I would appreciate any suggestions as I feel I am running out of options. Can you look in to this for me and help me. 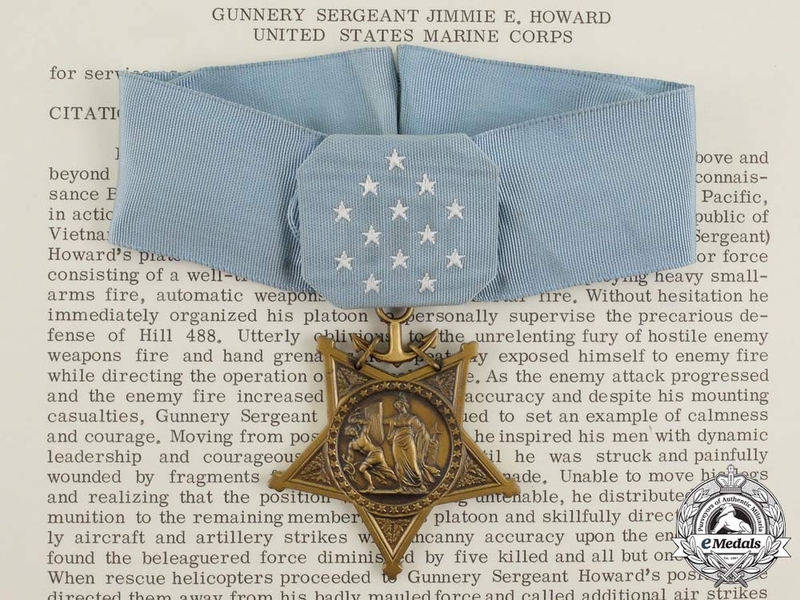 I'm working on Gunnery Sergeant Jimmie Howard's Medal of Honor it's on the internet for sale at eMedals.com a Canadian Company. I just sent this email to Emedals.com. I will let you know their response as soon as I get it. Thanks for your help in holding Jimmie Howard's Medal of Honor for the 1st Recon Bn Assn. 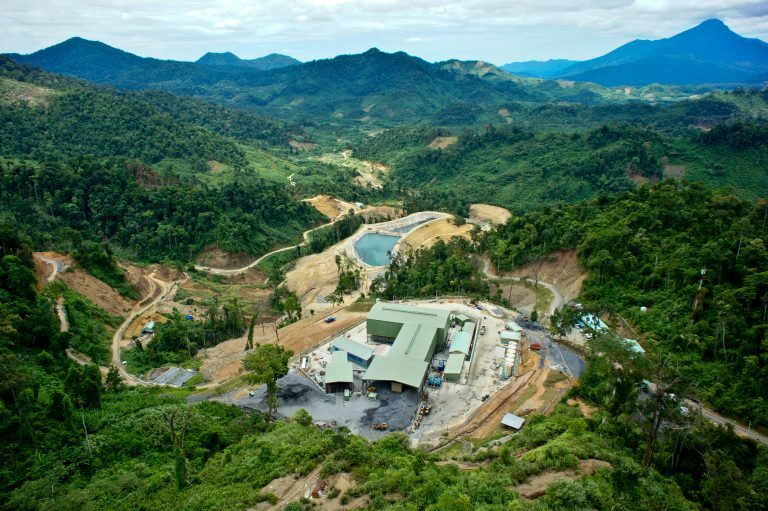 Our president has been in contact with several officials, one from CMC and one from the NNMC’s official curator. They are skeptical of the provenance and are asking for the seller's information in order to establish the provenance. Can you provide that to us. Many of our members are passionate about wanting to see that this part of our history stay in the US in a museum or other public site. Funding is not an issue as many have come forward to pledge funds or offer to purchase it outright. The issue here is the legal one. Can you tell me if we can legally put a down payment on this MOH or buy it and leave it in Canada until the legalities are worked out. I am unclear as to whether the legal issue is the purchase or the crossing of the border with the MOH. Please let me know. What is your policy if for some reason the provenance proves to be fake. Did a quick scan of all the email traffic on the website. Options, send it up the flag pole via the chain of command thru Charlie. He can request his local congressman to assist and hopefully his congressman will request that the FBI look into it. Hope this help. Charlie can leak it to the media?? I just returned from Texas today from my Uncle’s funeral. I’ll get back to you. Thanks for letting me know your concerns. I will pursue getting the information on the seller from Emedals. I just don't think we should give up if there is any chance that this is the real MOH. Emedals is a very reputable firm from my investigation although they could also have been fooled. As for the legality I will continue to see if it is possible to get permission for the acquisition. I have been talking to Jim Edwards and would appreciate it if you would give him a call. His story of how he discovered the MOH for sale is very moving. Charlie’s investigation suggests that this medal is not the original or the official copy issued to GySgt Howard and below is a string of e-mails supporting his decision not to pursue purchasing it for the 1st Recon Bn Assoc. In this string of e-mails there is communication from several officials, one from CMC and one from the NNMC’s official curator. I advise extreme caution before you attempt to purchase this medal until E-Medals provides the name and contact info of the seller that would allow you to confirm the provenance. If it is confirmed, having the legal ability to purchase appears to be blocked and illegal. Walk carefully through this mine field. Your welcome, thanks for sharing and I hope this gets resolved, lots of fraud and scammers out there to make a quick buck. Did someone ask the next of kin if they have Howard’s MOH? If they have it then this other MOH by Emedals is a fake one, I guess. Never know if Howard’s family would divulge the whereabouts of his MOH. If there is a bandit in the family that MOH could have been sold it. Food for thought. I hope this has a happy ending. We don't have any contact information for the next of kin. They were at our reunion in San Diego in 2015 but no one has their contact information any more. 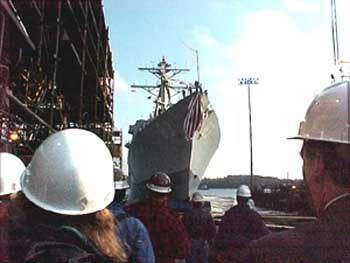 Jimmie lived in the San Diego area and a 2001 replica of his medal is on the USS Howard in San Diego. Do you think you could find anyone related to him or who knows someone related to him through your contacts in San Diego? We could probably resolve this quickly if we could find them. My feeling is that his estate was liquidated after his death in 1993 and it could have been sold then. 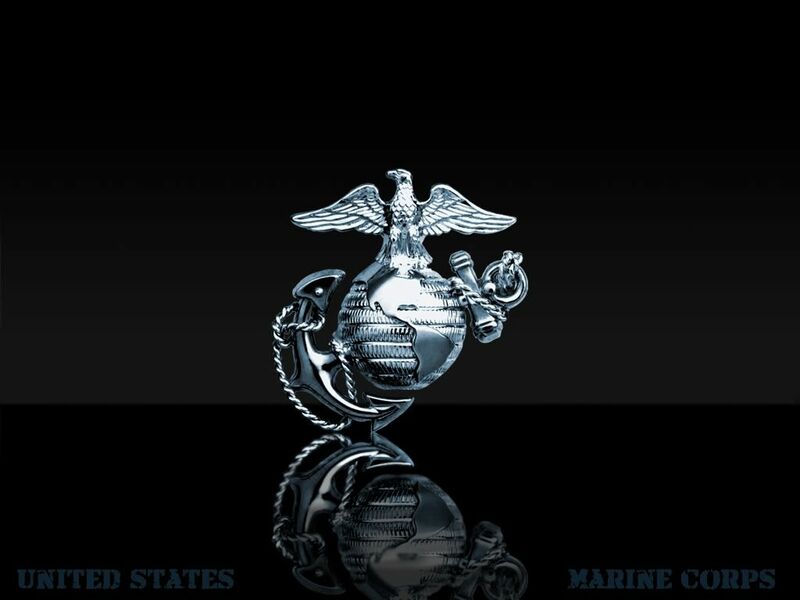 I just don't want to pass an opportunity to get it for 1st Recon Battalion in camp pendleton, our Association, National Museum of the Marine Corps in Quantico Virginia or The Medal of Honor Museum Patriots Point Charleston, SC if it is the real deal. I sent 2 emails to Emedals regarding who is selling this but have not heard back from them. One of the questions that comes up is whether the MOH has a serial number. In your experience so they all always have a serial number? I am very afraid that we are going to lose the opportunity to acquire it if we take much longer. 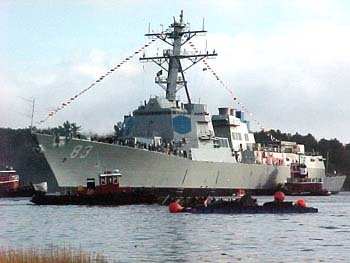 We could get the San Diego news media involved as that is where the USS Jimmie Howard is stationed. 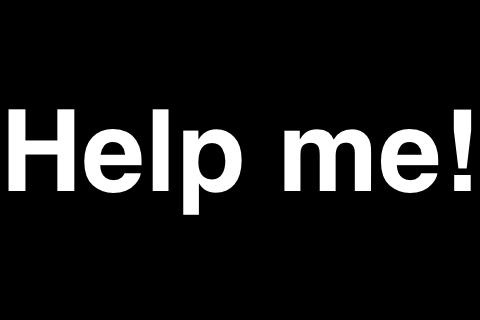 WE NEED TO CALL IN SOME SERIOUS HELP.WE CAN NOT DO THIS BY OURSELVES AT THIS POINT TIME IS OUR ENEMY THE GOVERNMENT WILL GET THERE MONEY. 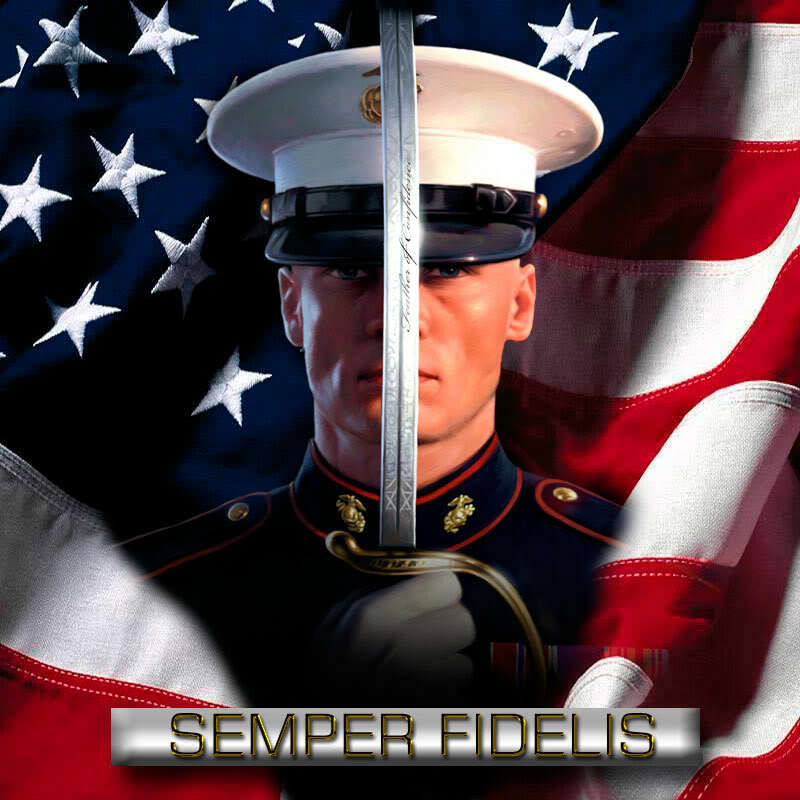 SEMPER FI. Not sure if my contacts have any info on Howard’s kin. I’ll ask though. I think some of the emails addressed the serial number, I’ll view them again. The experts on MOH could probably address the serial number, because I do not know. 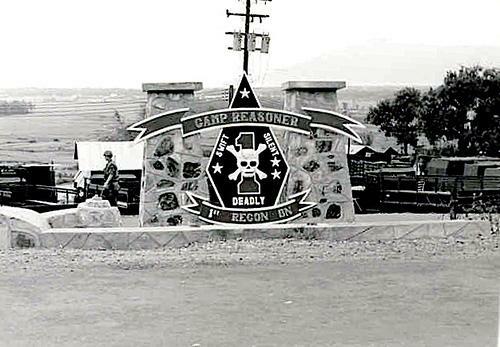 Camp Reasoner in Da Nang as it looks today. As I travel to Charleston, S.C. on Tuesday March 20th, 2018 to honor our 2nd Marine Medal of Honor Recipient from 1st Recon PFC Ralph Johnson at the commissloning of the USS Johnson DDG114 on March 24th, 2018. So, I'll be taking my eyes off the pursuit of securing Howard's MOH. "Walk carefully through this mine field"
Yes even a Marine in a mine field needs to be covered by his brothers. So I'm asking someone, anyone with the passion I have and the passion Jim Edwards has, to step up and take on this challenge with us. I'll return from Charleston, S.C. on March 29th, 2018 I won't be able to update the website until I return. I know that Emedals.com is not going hold Howard's MOH much longer. 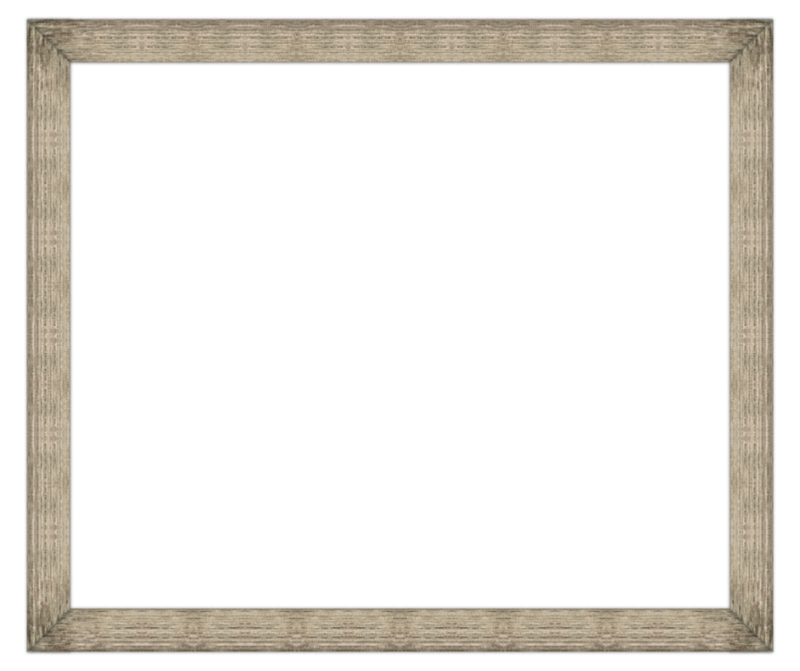 (See March 12-14 emails) I am very afraid that we will lose the opportunity to acquire this MOH. March 12, 2018 at 4:18 pm I talked to Emedals.com regarding the MOH and they have agreed to mark the medal as sold until our association can sort out the details. 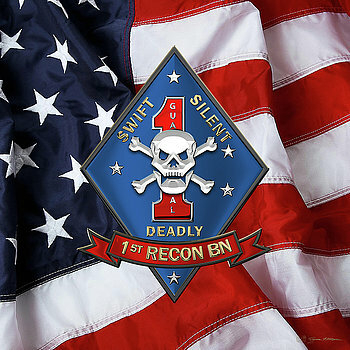 I talked to Charlie Kershaw, president of 1st Recon Battalion Association. We talked regarding Jimmie Howard's Medal of Honor and he and all our members thank you for agreeing to mark the medal as sold until our association can sort out the details of the medal. Thanks to everyone for your hard work at E-medals.com on this and hopefully we can secure it before it is lost. All display medals should have a Serial # on it, but will not specifically have the Name of the recipient, even if the display is for the purpose of honoring the recipient. With that Serial # We are able to tell what organization the medal was given to. 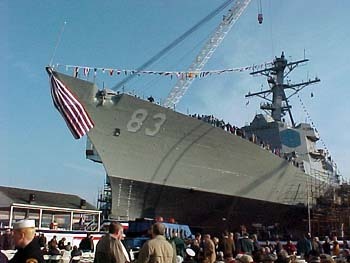 I can tell you that one of Howard's Medal of Honor is on display at the USS Howard marked with a serial number in 2001. March 14, 2018 7:40 AM Emedals.com this is our copy of the email. Even if it is a fake and a very good one (as seen in photos) it should be on display to all US Marines and the public to gain awareness of the Stolen Valor Act of 2005. click here to our webpage for explanation. On the slim chance it turns out to be the real deal, it's still priceless to the members of our Assoclation. In my research on fake and reproduction MOHs this is what I found. (See FBI Agent Nails Medal of Honor Impostors) on our website. click this link. The actual value of Howard's MOH if it is a fake MOH in this condition with docuentation is still more than $2700.00 I think it's a steal. It sends goosebumps up my spine picturing it on display at the National Museum of the Marine Corps in Triangle, Virginia. I picture it near MCB Quantico in the Recon area of the museum next to the Howard's Hill display. See photos on our website at this link. This is as much a Gold Mine for our members as Howard's Hill. 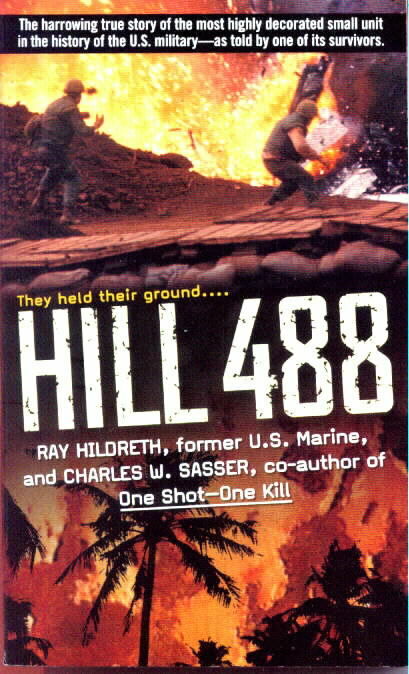 (FYI - Hill 488 is a working Gold Mine today in Vietnam.) See photos on our website at this link. 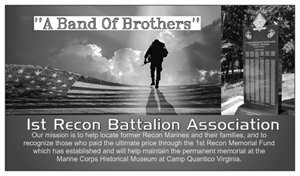 Picture yourself, a member of 1st Recon, standing at our Memorial at Semper Fidelis Memorial Park Quantico, Virginia. In the background you can see the The National Museum of the Marine Corps with the names of our marine brothers KIA on hill 488 back in June of '66. This picture can be our's with the recovery of Howard's MOH. 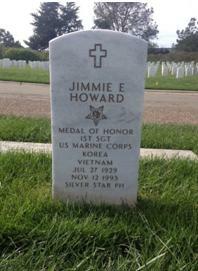 Association is unable to pursue acquiring Jimmie Howard's Medal of Honor (MOH) and related materials. States, or any of the service medals or badges awarded to the members of such forces, or the ribbon, button, or rosette of any such badge, decoration or medal, or any colorable imitation thereof, except when authorized under regulations made pursuant to law, shall be fined under this title or imprisoned not more than six months, or both." Do not compromise yourself, 1st Recon Battalion Association or any of its members by further pursuit of the Howard medal. I will leave for Charleston, South Carolina Tuesday March 20th, 2018 2:30pm and be on the road until Thursday morning. I won't be able to update the our website until I return on March 29th, 2018. • To promote scholarly research; and To preserve an accurate historical record of the 1st Reconnaissance Battalion’s honorable service. SECTION 2. NOT FOR PROFIT. None of the aforementioned objectives shall be construed to authorize the Association or individual members to conduct activities for profit, financial gain, or attempt to influence legislation. SECTION 3. DECEASED MEMBERS. 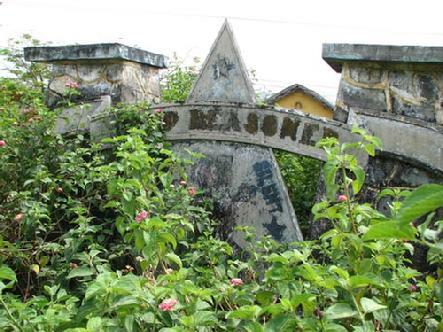 All who met the aforementioned qualifications for membership and are deceased will be carried on the Association’s deceased member rolls as they become known. SECTION 4. DUES. Association members have no mandatory dues. However, Members and Associate Members are encouraged to make donations, annually, to help defray the Association’s operating expenses. An annual donation of $10.00 is suggested. SECTION 1. MEETINGS. The 1st Reconnaissance Battalion Association shall hold a general membership meeting at least once a year for the election of Association Officers and Directors and to conduct other Association business as deemed necessary. All Members present are eligible to vote on any Association matter. 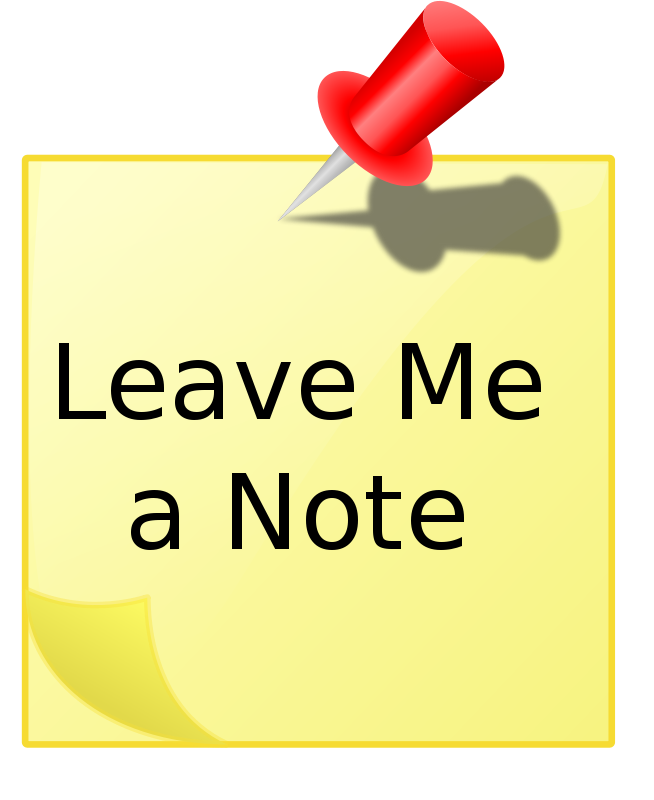 Meetings may be called by the President of the Association or by written petition of two-thirds of the members. In order to conduct Association business, there shall be a quorum of no less than ten Members. Members may not give their vote to another by proxy. SECTION 2. COMMITTEES. Committees shall be appointed by the President, from time to time, and may include: Audit of the Treasurer’s Report, Nomination of Officers and Directors; Reunion Planning and Preparation, and the Association Newsletter. SECTION 3. SUBORDINATE UNIT ASSOCIATIONS. Subordinate Unit Associations may be formed under the umbrella (or auspices) of the 1st Reconnaissance Battalion Association, comprised of members that served with 1st Reconnaissance Battalion in subordinate units, such as Headquarters and Service Company, A Company, B Company, etc. Subordinate Unit Associations may develop their own by-laws, consistent with the 1st Reconnaissance Battalion’s By-Laws, and elect their own Officers/Directors. 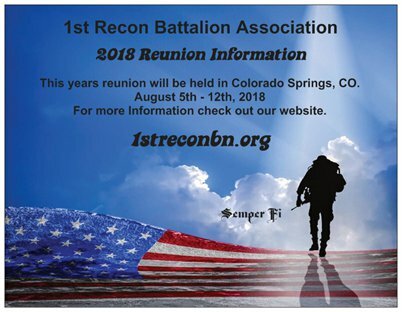 Subordinate Units may seek assistance from 1st Reconnaissance Battalion Association with meeting/reunion planning and other authorized unit activities. SECTION 1. ASSOCIATION OFFICERS AND DIRECTORS. Leadership of the 1st Reconnaissance Battalion Association shall consist of: President, Vice President, Secretary, Treasurer, Membership Director, Sergeant-at-Arms, Historian, Chaplain, three Associate Directors and the 1st Marine Division Association Unit Director. SECTION 2. EXECUTIVE COMMITTEE. The Executive Committee shall consist of the President, Vice President, and Treasurer. SECTION 3. ELECTION, TERM OF OFFICE AND REMOVAL. Officers of the Association shall be elected by the Association members at a General Membership Meeting for a term of three years; normally, the election of officers shall be staggered so that one third of the Association officers shall be elected each year. Newly elected officers and directors shall assume their office on the first day of the month following their election. A vacancy in any office caused by any reason whatsoever may be filled by the President, with the written concurrence of the Executive Committee, until the next scheduled General Membership Meeting, when the office shall be filled by election. An Association Officer or Director may succeed himself. Officers may be removed from office for just cause or absence from two consecutive Reunions and/or annual Membership Meetings, by two-thirds vote of Members present at the next General Membership Meeting. SECTION 4. PRESIDENT. The President shall preside over all meetings of the membership. He shall have charge of the affairs of the Association, ensure adherence to the 1st Reconnaissance Battalion Association By-Laws and shall ensure all decisions by the Membership are implemented. He shall ensure reports, contracts, documents, checks, bonds or other financial instruments are executed as authorized by the Executive Committee and/or resolution of the membership. He shall be a signatory on Association accounts, with check and debit card authority. The President shall represent the Association at meetings with civic, government and veteran organizations where representation by the Association is requested or deemed appropriate. SECTION 5. VICE PRESIDENT. The Vice President shall have such authority and duties as assigned by the President. He shall be a member of the Executive Committee. In the absence or disability of the President, the Vice President shall, consistent with the Association By-Laws, assume the duties of the President. SECTION 6. SECRETARY. The Secretary shall record the proceedings of all Association membership and Executive Committee meetings. He shall maintain sign-in sheets for recording attendance at all membership meetings. He shall be the custodian of Association records. He shall prepare, post, and disseminate all legal notices, correspondence and other materials as required by laws, statutes, and regulations. Assisted by the Sergeant-at-Arms, he shall count any and all written ballots when secret ballots or votes are conducted. The Secretary shall prepare the minutes of all membership and Executive Committee meetings, maintain them for review by Association Members and provide these minutes to the membership at each annual Association Membership meeting. He shall perform all duties pertaining to the office Secretary and such other duties as may be assigned by the President. SECTION 7. TREASURER. The Treasurer shall receive and collect all monies payable to the Association and deposit those monies in such bank or depository designated to handle the Association’s accounts. He shall make payment of all lawful obligations. He shall maintain custody of all Association funds, securities, and related documents. With the President, he shall be a joint account holder on Association accounts, with check and debit card authority. He shall keep or cause to be kept an accurate record of all receipts and disbursements; he shall render a statement of the Association’s financial condition as required, and an annual financial report at the Association’s membership meeting and other reports as required. The Treasurer shall perform all duties of his office and those duties assigned by the President. SECTION 8. MEMBERSHIP DIRECTOR. The Membership Director shall maintain the membership directory of the Association and act as the Association Web Master. 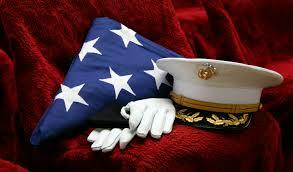 He shall work to increase Association membership and interact with veterans and military service organizations. The Membership Director is the Association Web Master and maintains the Association website. He shall perform all duties of his office and those duties assigned by the President. SECTION 9. HISTORIAN. The Historian shall research, record, catalog and maintain historical data and material pertaining to the 1st Reconnaissance Battalion. He shall be the custodian of historical material and artifacts donated to the Association. The Historian shall interact with the historical program of the Marine Corps. He shall foster public awareness of 1st Reconnaissance Battalion’s lineage, honors and achievements and interact with the media as the Association Public Affairs Officer. He shall perform all duties of his office and those duties assigned by the President. SECTION 10. SERGEANT-AT-ARMS. The Sergeant-at-Arms shall be responsible for maintaining order during all meetings and lead Members in the Pledge of Allegiance to the flag. The Sergeant-at-Arms shall collect and assist the Secretary count any and all written ballots when secret ballots or votes are conducted. He shall be the custodian of designated Association property and ensure it is on hand for reunions, membership meetings or other events as directed. He shall perform all duties of his office and those duties assigned by the President. SECTION 11. CHAPLAIN. The Chaplain shall open all membership meetings with prayer. He shall be the Association’s principal point of contact with the next of kin and families of deceased members, conduct or cause to be conducted memorial services as necessary and ensure that the Association honors the memory of deceased members appropriately. SECTION 12. DIRECTORS. 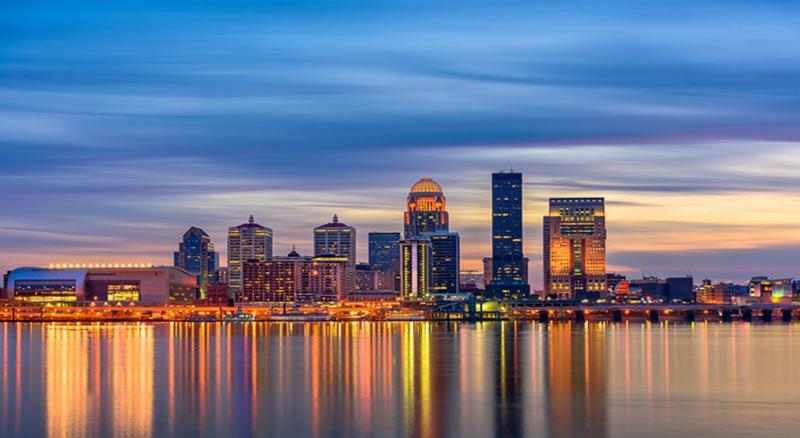 Directors serve as directed by the President; fill Executive Committee positions, as required, perform other tasks pertaining to normal business; assist with reunion planning and execution, and provide liaison with membership. SECTION 13. UNIT DIRECTOR. The Unit Director represents the Association at 1st Marine Division Association meetings. He shall perform other Association tasks as directed by the President. SECTION 14. COMPENSATION. Officers and members shall not receive any salary or other compensation for services rendered to the Association. SECTION 15. ASSOCIATION ACCOUNTS AND AUTHORIZATION TO EXPEND FUNDS. The 1st Reconnaissance Battalion Association shall maintain its accounts in a bank or credit union insured by the federal government. As a minimum, the Association will maintain a checking and an interest bearing account. Association accounts shall be joint, with the Treasurer and President authorized to transact Association business. Members attending annual/periodic meetings shall review and approve the Treasurer’s Report, and by simple majority vote any extraordinary expenses in excess of $1000.00. Upon written consent of the Executive Committee, Association expenses that may occur between Membership Meetings may be paid as necessary to ensure Association obligations are met and to benefit the Membership as a whole. SECTION 1. The 1st Reconnaissance Battalion Association By- Laws may be modified, amended or replaced by a two-thirds vote of the members attending a periodic membership meeting. SECTION 1. PROCEDURE. 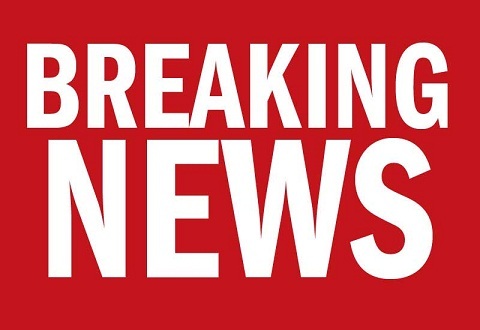 The 1st Reconnaissance Battalion Association may be dissolved at periodic membership meeting upon a two-thirds vote of all Members present provided that an announcement of such intended action is published to all Members a least three months prior to the intended act of dissolution. In the event the Association is dissolved, all assets and property shall be transferred to the 1st Marine Division Association for use as exempt from federal taxation under Section 501 (C ) (3) of the Internal Revenue Code of 1954, as amended or any successor statute thereto. SECTION 2. ALTERNATIVE DISTRIBUTION. In the event that the 1st Reconnaissance Battalion Association shall be dissolved, the Members, by majority vote, may distribute all assets and property, less valid outstanding debts, accounts, claims, and necessary expenses of dissolution, to designated organizations exempt from federal taxation under Section 501 (C) (3) of the Internal Revenue Code of 1954, as amended or any successor statute thereto. Jimmie Howard's medal & documents for sale in Canada has been received by the FBI, ask me for details at the next reunion in Louisville, Kentucky.